The toad lily Tricyrtis hirta. Photo by André Karwath. Pity the poor Liliaceae. At one time, the family stood as the repository for almost all monocots with large-petaled flowers except orchids. 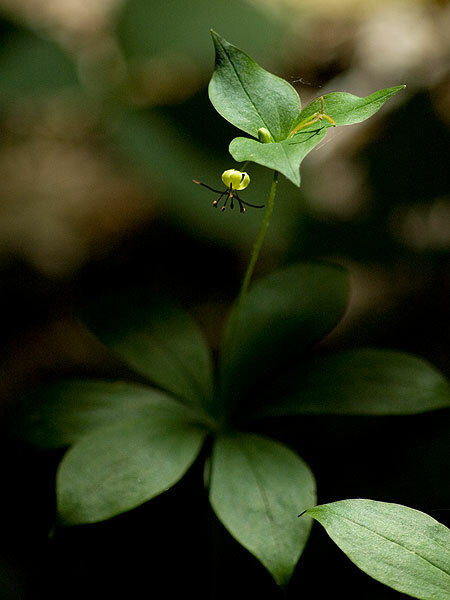 Over the years, successive reclassifications have steadily whittled it down until the current Liliaceae is left with a mere ten to sixteen or so genera (depending on whether or not the Calochortaceae are treated as a separate family) found in the Holarctic region. 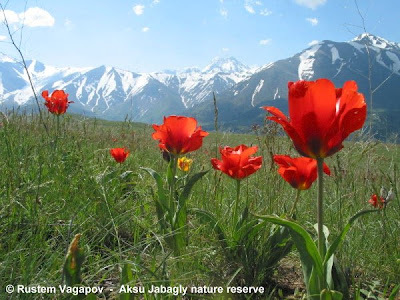 Of course, these genera still include such luminaries as Lilium (lilies) and Tulipa (tulips), so even in its minority the Liliaceae can still draw its share of attention. Greig's tulip Tulipa greigii growing wild in Kazakhstan. Photo by Rustem Vagapov. I have to admit that the thought of such horticultural wonders as tulips and orchids growing wild has always been a strange one to me. Molecular studies of the Liliaceae have agreed on the monophyly of Liliaceae sensu stricto (excluding 'Calochortaceae') but differ on the relationships of the 'Calochortaceae', whether a monophyletic sister to Liliaceae s. s. (Patterson & Givnish 2002) or paraphyletic to the latter (Rønsted et al., 2005). Within Liliaceae s. s., there is a well-supported division between the Lilioideae and a small clade Medeoloideae. Whatever the phylogeny, it seems likely that the ancestor of the Liliaceae in the broad sense was a shade-loving, rhizomatous plant with broad reticulate leaves, as is characteristic of Medeoloideae and 'Calochortaceae' other than Calochortus (Patterson & Givnish 2002). Calochortus and Lilioideae independently became adapted to more open habitats, developing narrower leaves and bulbs instead of rhizomes (hence a more seasonal growing cycle). Both lineages also developed more showy flowers than their relatives (showy flowers are also found in the genus Tricyrtis, which may or may not be closely related to Calochortus) and replaced the berries of their ancestors with dehiscent capsules, so that their seeds became dispersed by wind instead of by animals. 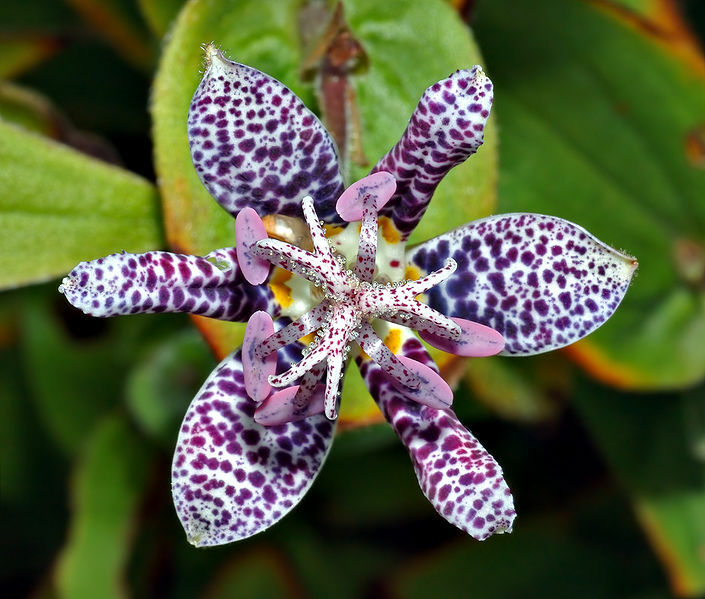 Again, capsules are also found in Tricyrtis, as well as in the genus Scoliopus that has distinctive fleshy capsules that are believed to encourage seed dispersal by ants (Patterson & Givnish 2002). The Indian cucumber (because of its edible rhizome) Medeola virginiana, a North American representative of the forest-dwelling Medeloideae. Photo by David Smith. As well as reproducing by seeds, some Liliaceae also reproduce asexually. A number of bulbiferous species produce bulbils, small lateral offshoots of the bulb. These may break off and grow into new plants elsewhere, generally when carried by the action of burrowing animals such as moles and mole-rats. Patterson, T. B., & T. J. Givnish. 2002. Phylogeny, concerted convergence, and phylogenetic niche conservatism in the core Liliales: insights from rbcL and ndhF sequence data. Evolution 56 (2): 233-252. Rønsted, N., S. Law, H. Thornton, M. F. Fay & M. W. Chase. 2005. Molecular phylogenetic evidence for the monophyly of Fritillaria and Lilium (Liliaceae; Liliales) and the infrageneric classification of Fritillaria. Molecular Phylogenetics and Evolution 35: 509-527.